We have a new champagne house brand. 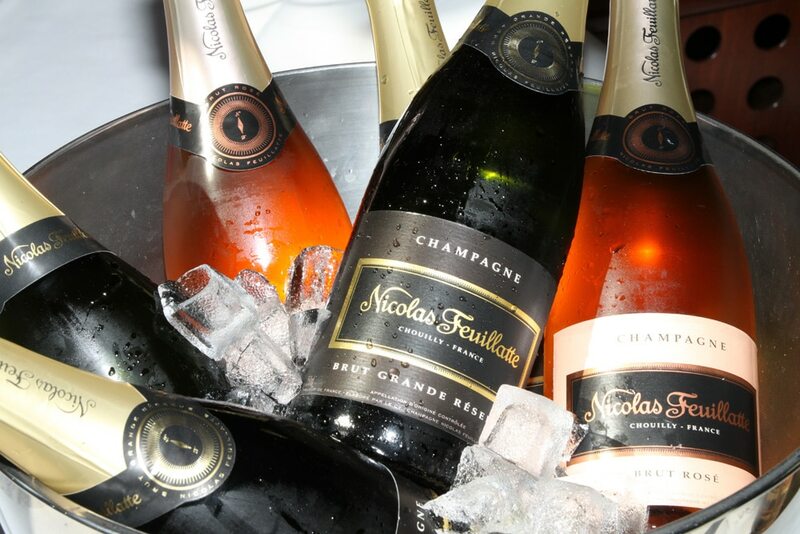 Established in 1976, the “Champagne Nicolas Feuillatte” developed into one of the most successful champagne brands in the world and No.1 in France. Not even the founder itself Nicolas Feuillatte has ever dreamed about when he the first bottles of his champagne for his close friends vinifizierte- including illustrious personalities such as Jackie Onassis, Shirley MacLaine and Sophia Loraine. Then as now, it is this champagne, enraptured of connoisseurs worldwide. A delicate champagne under the sign of elegance. The coincidence of the classic grape varieties gives a number of advantages this champagne: 20% Chardonnay for its refinement and elegance, 40% Pinot Noir for its volume and 40% Pinot Meunier for its fruitiness. The result is a champagne, playing with fresh notes of white fruit and spices and surprised by its sophistication and delicacy. The new Champagne Nicolas Feuillatte website is also accessible via smartphones and tablets, so always at hand wherever you may be. A mobile app has been designed to allow ultra-quick access to the different Champagne cuvées and to the wonderful world of Champagne Nicolas Feuillatte. The mobile website also includes direct links to Facebook and Twitter social media, not forgetting YouTube videos, to keep you abreast of our every move. “City Spirit” is the slogan that accompanies the Champagne Nicolas Feuillatte brand by 2012. Therefore, the new design of the annually changing topic bottle is inspired by the work of artist Richard Sreet Style Wolleck and reflects a dynamic, urban lifestyle, by this type of packaging Champagne Nicolas Feuillatte convinces with creativity and individuality.